What is the oldest exsistence of physical exercising equipments found in world, through literary evidences or archaeological excavations? 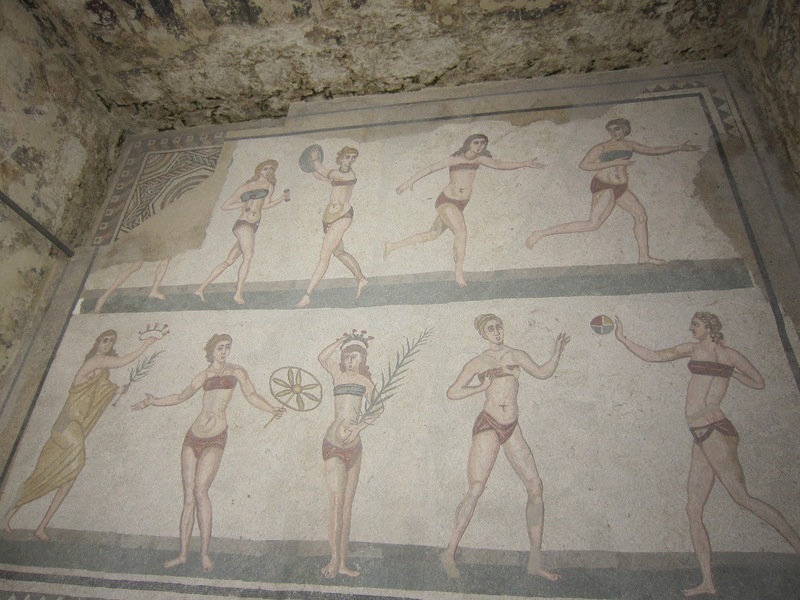 The 4th-5th century A.D. "Bikini Girls" mosaic from the Villa del Casale of Piazza Armerina shows female athletes practicing or competing in athletic competition with dumbbells and a big ball that looks like a medicine ball (both in upper-left). The Romans had several different types of balls for their games -- hard balls, soft balls, bouncing balls, large balls and small balls. They even had a glass ball and a ball of stone the size of a bowling ball was found in Pompeii. At least six distinct types of balls can be identified . . . The two types of follis most certainly bounced. The paganica and harpastum did not. Balls made of wool would have bounced poorly. 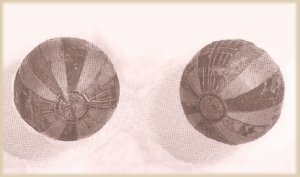 The two balls [below] were found in an Egyptian tomb from the Roman period and are about 5" in diameter. Notice the striking similarity to the Bikini Girls ball. They are made of linen and hair wrapped in string and sewn together. These wouldn't have bounced well but were probably used for games like Trigon, harpasta, or Field Hockey. Was there human sacrifice in ancient Crete? Which is the oldest language in the World? How did physical exercise (stretching) originate in the Western world? What is the oldest inscription of Yahweh found?